If you live in Queens you know that emergencies can happen any time of the day or the night. Normally people only have emergencies requiring the services of a professional locksmith once or twice in their lives, but when those emergencies do occur you realize how important having a 24 hours locksmith like Fresh Meadows Best Locksmith right here in Queens really is. Emergencies don’t just happen between the hours of 9 and 5 and when you have a lock or key emergency such as being locked out of your car, house, or business or having a broken lock that leaves your home or business exposed to intruders then you want a locksmith that is available when you need them. A 24 hour locksmith in Queens can be there to deal with your lock or key emergency quickly so that you don’t have to worry about your, your home’s or your business’s security. 24 hour locksmiths like Fresh Meadows Best Locksmiths are full service locksmiths so they can deal with all different types of lock and key emergencies including repairing or replacing broken locks or putting those security lock systems, as well replacing those lost keys or helping you gain entrance to your home, business or car should accidentally lock yourself out. A few of the services you can expect from a 24 hour locksmith includes: Emergency rekeying services, reprogramming transponder keys, installing dead bolts and other security locks, and making replacement keys. You can also expect quality service from our 24 hour locksmiths as they are extremely dedicated to their jobs and helping people in the time of need. So you can expect the same high quality service from your 24 hour locksmith that you would expect from those nine to fivers. suppose to do to keep you protected from the outside world. 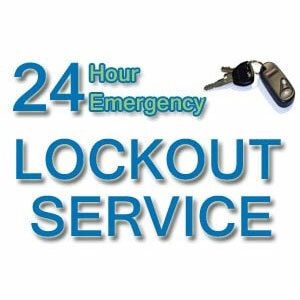 So if you have a lock or key emergency, why not turn to us day or night for that 24 hour service you need? Just give us a call at 718-233-1144 and we will promptly answer your emergency call.